Do you like to go for long car rides? How about going somewhere on a plane? Have you ever been on a road trip? 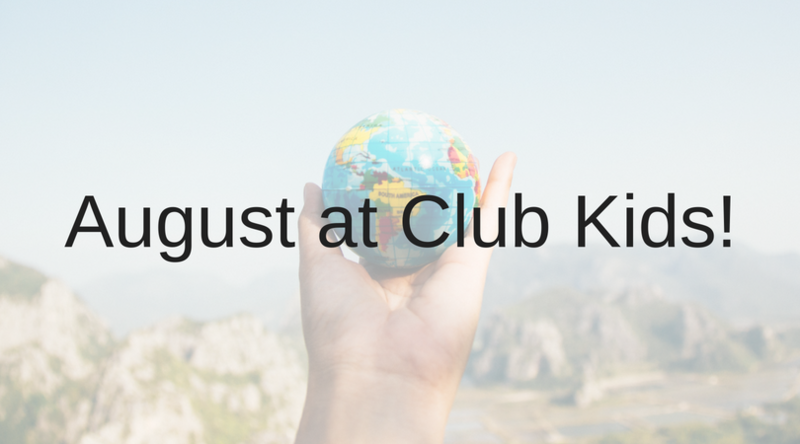 Join us at Club Kids this week as we venture off on a “Road Trip” of our own! We will be choosing where we would like to go if we could go anywhere, what we would bring and how we would get there. There will be crafts, like painting with tires, stoplights & airplanes, kid workouts, including Red Light, Green Light, Pit Stop Stretches & Airplane Mode! We will work on our numbers and letters with license plate games, and SO much more fun will be had. Don’t miss out on a last minute “Road Trip” with us this week! “Can we fix it? YES WE CAN! Come by Club Kids this week for a week full of building, tools, hammering & more! We will have crafts, books, exercises, math & science activities all about construction. We will have hammers & “nails” (golf tees) to practice our hammering. We need all the help building and fixing we can get, so we hope you can come by! Howdy Partners! We are hoping you can swing on by Club Kids this week to lasso up some fun with us as we adventure through the Wild, Wild West. We will be making cactus, lasso art, playing horse shoes , practicing galloping & knot tying among many more exciting activities! It’s sure to be a swell time you won’t want to miss! How are you feeling? Happy? Sad? Mad? Tired? There are so many feelings and so much to learn about each one! Bring the kids by Club Kids for a week filled with activities about our many emotions. We will be so happy if you can make it! What would you like to be when you grow up? A doctor? A nurse? A dog walker? A teacher? Look all around your community and there are SO many important people and jobs all around you! Club Kids will be going through our community the next two weeks and learning all about some of these important people. Have the kids come to make themed crafts, exercises, books, math, science and more!